I didn’t know I had textured hair! For me there were just two types of hair: curly, or straight. And mine felt like it lived in this awful grey area. 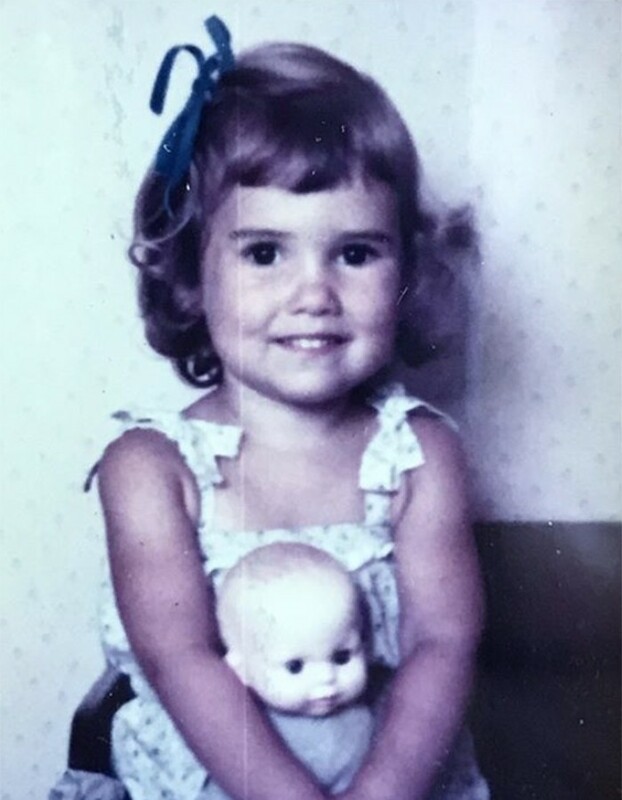 I often referred to it as “type frizzy,” “crazy,” or “disobedient” and that formed the basis of my hair relationship for most of my life. I wanted to win the fight and make it either straight or curly and it had no intention of being either one. So I settled for blowdrying it straight, and from 4th grade through 33 years old I did just that! I woke up every morning, showered, and blow dried with a round brush. What made you decide to embrace your naturally wavy hair? My oldest daughter started asking to straighten her hair so it could be “beautiful like mommy’s” and that was it. A friend had mentioned the book Curly Girl in college, but I had no intention of giving up my simple suds and blowdry routine. 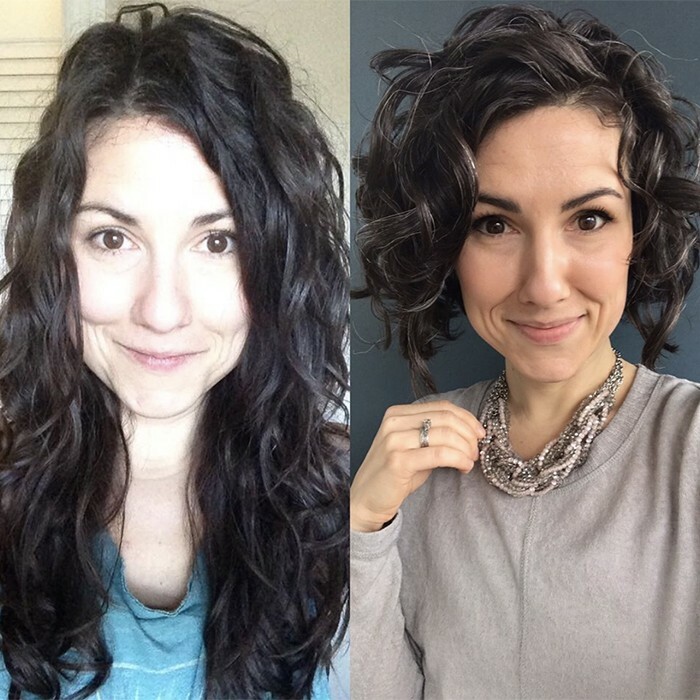 I had even given the curly girl method a try once or twice, but found it complicated and too much work. But seeing myself through my daughter’s eyes was powerful. I knew that trying to explain to her that her waves were beautiful was going to ring hollow unless I embraced that truth for myself. So on my 34th birthday I decided enough was enough. I had to learn how to take care of my waves so that my girls would believe me when I told them that they were beautiful just the way they were made. Discovering Alyson from @reallifecurlygirl and stumbling upon her YouTube channel. I saw hair that looked like mine, but was loved and valued and cared for and I finally felt like there was hope! She spoke about haircare with so much passion and eloquence and I will never be the same. From that moment on I started devouring everything she’d written, posted, or recorded. A few weeks later I created an Instagram page dedicated to documenting my hair journey and met thousands of other curly girls spread across the world that were doing the same thing, and the rest is history! I recently cut my hair pretty short so using a buff or pineapple was no longer working. I tried clipping bits of it up which made my scalp sore, then tried a satin bonnet and/or satin scarf, but neither one wanted to stay on my head and both were interfering with my sleep (I’m a sleep deprived mom of 3 littles so that wasn’t going to work!). So, now I just sleep on a silk pillowcase and refresh in the morning. It’s simple and fits my lifestyle. ONE curl crush? I could never pick just one! Celeb curl crush would be either Minnie Driver or Emmy Rossum because they both still rock their awesome curls even after spending years in Hollywood! 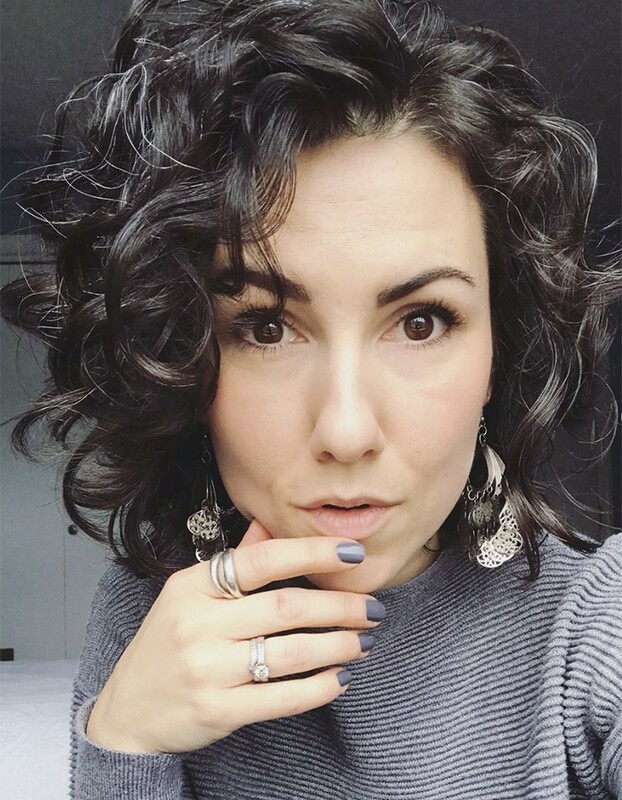 I’m also head over heals in love with Domi of @powerdomi and her long magical waves, Jackie of @mymanecurls and her impossibly perfect barrel curls, Mandie of @mandie.cg.journey and her glorious wavy lions mane and oh my gosh I think I just realized that I want to grow my hair out. My segbeauty diffuser. My hair is transformed by proper and careful diffusing and the segbeauty has treated me so well. It perfectly fits my cheap and trusty conair infinity blowdryer, and it has a twisting function where you can adjust the airflow. I’d be utterly lost with it. Honorable mention goes to Curl Keeper Original which always treats me right, works in every season, and never weighs down my fragile waves. I do occasionally cowash, but I’m an oily itchy scalp gal so I love a good sulfate-free shampoo like Giovanni Tea Tree Triple Treat or Trader Joe’s Spa Nourish Shampoo. Then, I follow with Giovanni Deeper Moisture Conditioner and do lots of squishing with palmfuls if water. My favorite styler combo is an alcohol free foam or mousse scrunched into soaking wet hair followed by a generous amount of curly girl friendly gel like Aussie Instant Freeze or Giovanni LA Naturals Syling Gel. Then, I diffuse upside down and side to side. A good scrunch of the crunchy cast when it’s 110% dry and I’m done! My itchy oily scalp! I almost quit several times because I thought I HAD to cowash to be a good curly girl. Thankfully I went back to (sulfate free) shampoo and added in an apply cider vinegar rinse a couple times a week and now I have a much happier scalp. Deep conditioning with heat was a total game changer. I kept using more heavier conditioners, but my hair just became greasy and weighed down. And then I discovered heated deep conditioning caps and the heat made all the difference! I no longer have to use a ton of conditioner and my hair is silkier, shinier, healthier, and no longer suffering under the weight of heavy oils and butters! Figure out your why and then remind yourself often of the reason or reasons you chose to embrace your natural texture. Stop comparing; hair texture is entirely unique. You can celebrate someone’s texture without dying of jealousy and then hating your own. Find a supportive community, one that will inspire and encourage you. For me that was the Instagram curly girl community. And finally, document the HECK out of your hair and routine. You’ll be surprised at how easy it is to forget what you used that one day you had an awesome washday result, or forget what your hair looked like back when you were heat styling and punishing it. Transition is painful. Learning something new is hard, but like all things worth having, perseverance is how you get it!